“No part of the Great War compares in interest to its opening,” wrote Churchill. Now, as the centenary of the war approaches, prominent military historian Allan Mallinson has written a fascinating new history of its origins, and the crucial first few weeks of combat. 1914: Fight the Good Fight is a compelling depth study, charting how movement and strategy gave way to stagnation and futility, accompanied by tantalizing speculation on what might have been. 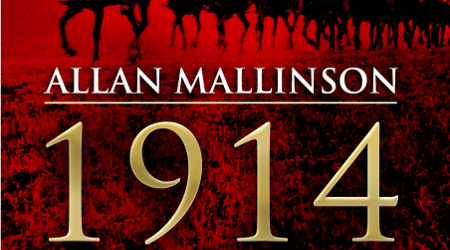 Mallinson is himself a former infantry and cavalry officer, as well as the author of the popular Matthew Hervey series of historical novels. He is a fascinating writer and speaker, whose impressive research is always brought to life by his extensive personal experience.